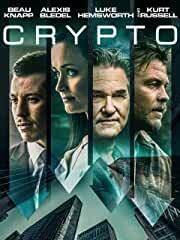 Beau Knapp, Alexis Bledel, Luke Hemsworth, and Kurt Russell star in the cyber-thriller Crypto, available on Blu-ray™ (plus Digital), DVD, and Digital on June 18 from Lionsgate. This film is currently available On Demand. With the current rise of cryptocurrency, people find ways to exploit the system and the global economy. After discovering evidence of fraud, a young agent named Martin (Knapp) is tasked with following a long trail of corruption and theft. During his investigation, he finds that the people involved are more powerful than he could have ever imagined.